PATNA: An elderly woman in Bihar bravely fought with a lioness to save her goat, putting her on life at risk. The incident took place at Tahkaul village under Gaunaha block in West Champaran district on Saturday. Reports said the woman identified as Meghia Devi, a widow, was grazing her goat near a sugarcane field outside her village when the lioness suddenly came out from the field and pounced upon the goat. Seeing the lioness catching her goat, the woman rushed towards the animal and attacked her with sickle which she was carrying in her hand. A fight broke out between the two but it was lioness who ultimately won. 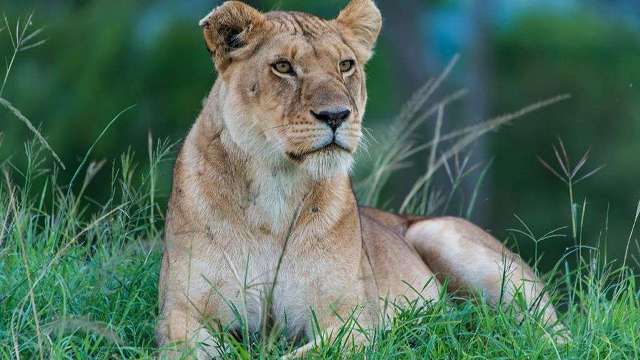 Reports said the lioness severely wounded the woman with her claws and vanished into the sugarcane field with the goat. Hearing her alarms, local villagers rushed to the spot and admitted the woman to a local hospital. Forest department authorities have announced to bear all the medical expenses to be incurred on treatment of the woman. As such, two lionesses are learnt to have strayed from the Valmiki Tiger Reserve located in the areas and are loitering in the residential areas for the past 48 days, triggering panic among villagers. Quite many villagers have chanced encounters with the lionesses but all have escaped attacks.